While neighboring countries facing the Adriatic Sea are jam-packed with tourists and is becoming more expensive, there are significant savings to be had if you’re planning to visit Albania. Albania is one of Europe’s lowest-cost destinations and is still a bit off the beaten track. The Greeks ruled Albania, then the Romans before it became part of the Byzantine Empire in 395 AD when the Roman Empire was divided into the east and west. The Ottoman Turks took over in the 14th century AD until 1912. And Albania was under Communism for 46 years. All these influences left a mark on the country – making Albania a fascinating destination. Besides the rich history, you’ll find lakes, mountain ranges, rivers and beaches waiting for you to explore. Suggestions for must sees or places that I should stop at through my travel. I will be traveling for one week / 10 days with my boyfriend, few people know about Albania, It seems strange, but I believe the coast must be beautiful and no mass tourism. The aim is to be as close as possible to the locals. 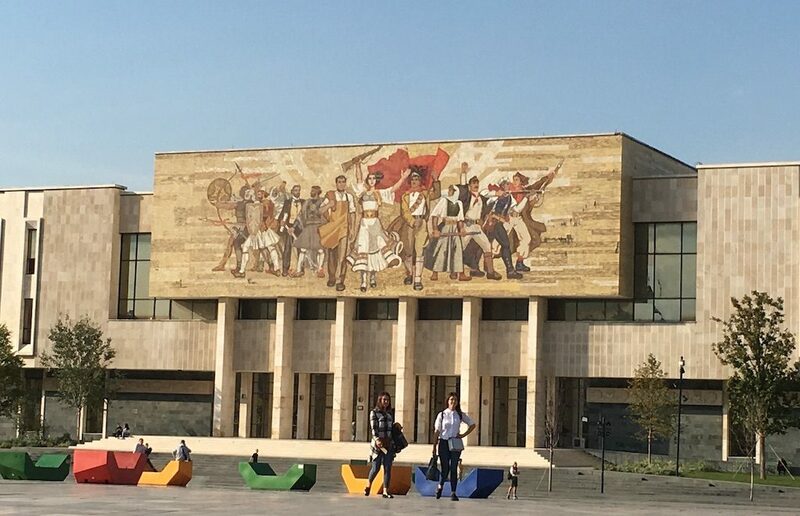 Start your trip in Tirana, the capital and largest city in Albania. The city has many cafes and restaurants scattered throughout. You’ll find inviting outdoor dining spots, sidewalk cafes – where locals and a few tourists while away their time, people watch, chat and drink coffee. 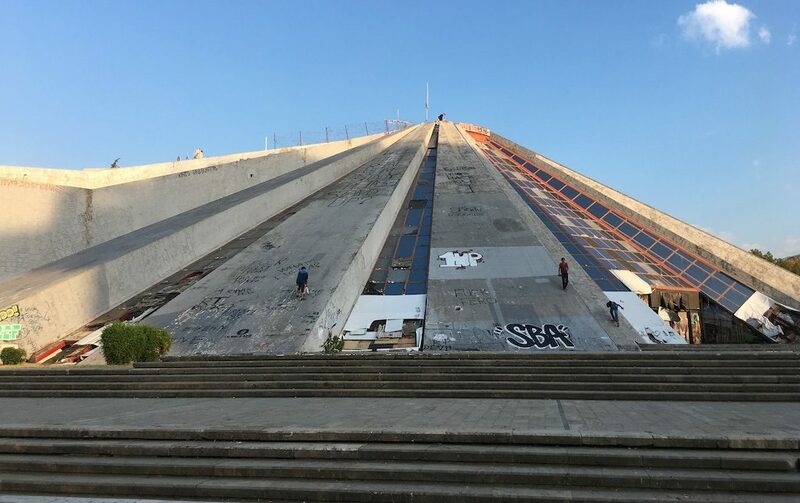 Tirana has many attractions – from the quirky pyramid and bunkers to the vintage bookshops and the massive Skanderberg Square. We suggest a two-night stay in Tirana. Berat is known as the “Town of a Thousand Windows” because of the thousands of windows found in the well-preserved and rare Ottoman houses. It is home to Berat Castle (also called Berat Fortress or Kalaja), an Ottoman-era castle built in the 13th and 14th centuries. Berat Castle has four entrances and 24 towers. Inside the fortress are Byzantine churches, an Ottoman mosque (Red Mosque with a remaining minaret) and castle ruins. The castle’s handful of residents run shops, restaurants, and hotels that serve the locals and tourists. A hike to the top of Berat Castle is a must. At the top, your efforts are paid off with an outstanding view of the ancient town surrounded by mountains. You’ll also see olive groves and ancient hillside houses. This ancient town located 64 miles south of Tirana is rich in history, but it’s not the only thing attracting people to Berat. Berat is one of the oldest wine producing regions in Albania. The wine has been in production since the sixth century BC. The guided tour includes Cobo, Nurrelari, and Alpeta wineries. You’ll taste wine from indigenous grapes like Pules (or Puls), Shesh, and Debine. It’s best to stay a night in Berat. One of the highlights for me was the Lake Komani Ferry from Shkoder to Bajram Curri. Getting stuck unexpectedly for a night in Bajram Curri was half the fun! But the boat trip itself was beautiful and a great way to see Albania from a different angle. Shkoder is a small town and a gateway to hiking trails in Northern Albania. You can go hiking in Valbone Valley National Park, take the ferry to Lake Komani as suggested by Emily, and kayaking in Lake Shkoder (Skadar). Lake Shkoder is the largest lake in Southern Europe, and the major part of the lake belongs to Montenegro. Rozafa Castle is another attraction close to Shkoder. Learn more about the history and culture of Albania by exploring the citadel’s religious buildings in Rozafa Castle including the 18th-century Lead Mosque. Catch the sunset views there before heading back to Shkoder. Shkoder is ideal for those who like nature and also close to great places to eat and check out historic sights. Durres, located west of Tirana on the Adriatic Sea, is a seaport city filled with Mediterranean charm and history. It is a little less hectic than Tirana. Sarande is the place to be if you love seafood and vibrant nightlife. Located less than a two-hour ferry ride from Corfu, a Greek island, Sarande is an ideal base for your stay in the Albanian Riviera. You can take a day trip to Corfu, take a 30-minute drive to the white sandy beaches in Ksamil or enjoy a delicious seafood meal in Himare. For more history lessons, venture out to Gjirokaster, a UNESCO World Heritage Town located an hour from Sarande. This “City of Stone” has the biggest castle in Albania, cobble stone streets and houses made of stones. It is also home to top Albanian cooking classes. 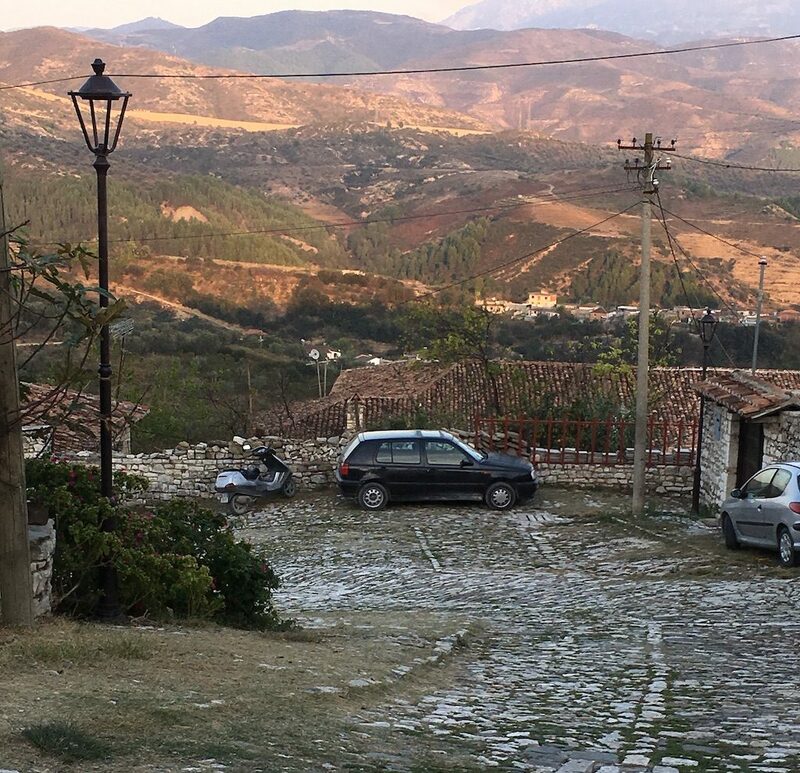 In Albania, you will find fresh meat from mountain villages like in Llogara National Park, Gjirokaster, or in country villages. Fresh seafood is also very common in cities on the coastline like Durres, Vlorë Sarande. Some restaurants in villages like Maminas, Kavaje, Shijak keep their poultry and crops so that they can guarantee 100% fresh food.